WOW! 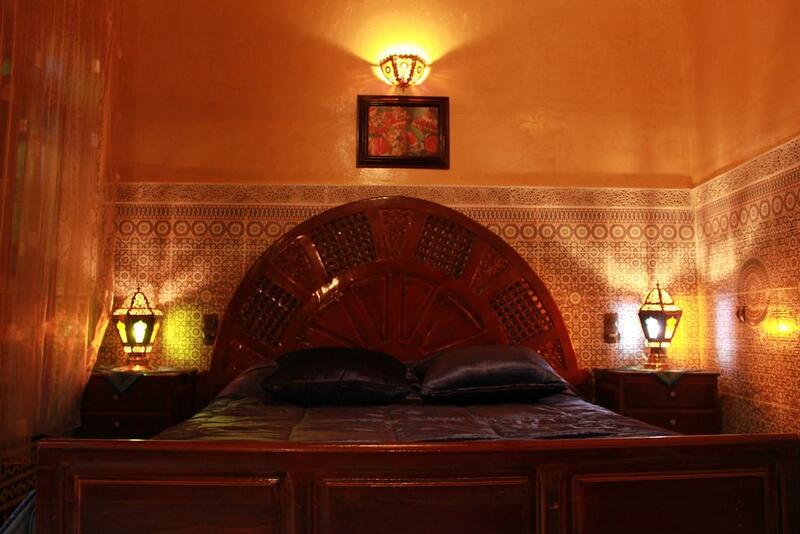 Double room in 4* Riad in Fez, Morocco for crazy €4 per person! WOW! Book your stay at 4* Riad in Fez, Morocco for only €4/£3.40/$4.30/AU$5.60 per person/night (based on booking for 2 people)! 4* Riad Nassim located in the heart of the Medina features a hammam, a hot tub and a furnished terrace with a view of the Medina. Guided tours are organized by the staff and Wi-Fi is free of charge in the entire property. With a traditional Moroccan style, all of the air-conditioned rooms at Riad Nassim have tiled floor with Fès zellige, a seating area and a private bathroom with free toiletries. There is an LCD TV in the hall and a safe is available at the reception. You can have the continental breakfast in the dining room or in the patio, which has a seating area and a fountain. For other meals, regional specialties are proposed for lunch and dinner. Agdal Park and Medersa Bou Inania are a 10-minute drive away while the spa resort of Moulay Yacoub is a 15-minute drive from Riad Nassim. Saïss Airport is 22 km from the property. Fes El Bali is a great choice for travellers interested in street markets, shopping and markets.